An unidentified man was killed on Monday when his pickup truck rear-ended a logging truck. The Golden Road leading to Millinocket, July 29, 2015. 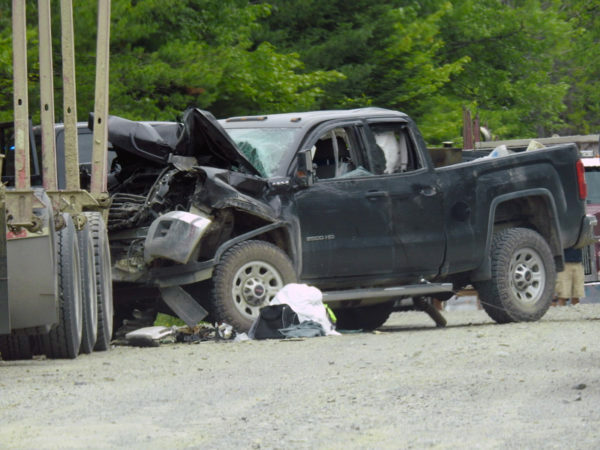 The driver of a pickup truck died after he ran into the back of a parked logging truck on Golden Road on Monday that he apparently couldn’t see due to dust that created whiteout conditions, authorities said. The man, whose name was being withheld pending notification of next of kin, was the pickup’s sole occupant, and couldn’t see the logging truck because of the heavy dust in the air kicked up from the dirt road, according to a statement from Piscataquis County Chief Deputy Robert Young relayed by a dispatcher. The crash happened at about 10:50 a.m. in Township 1 Range 13, which is about five miles east of Spencer Bay in northwest Piscataquis County, according to the statement. Photos taken by a passerby show that the pickup took heavy front-end damage and that the logging truck was not carrying wood. 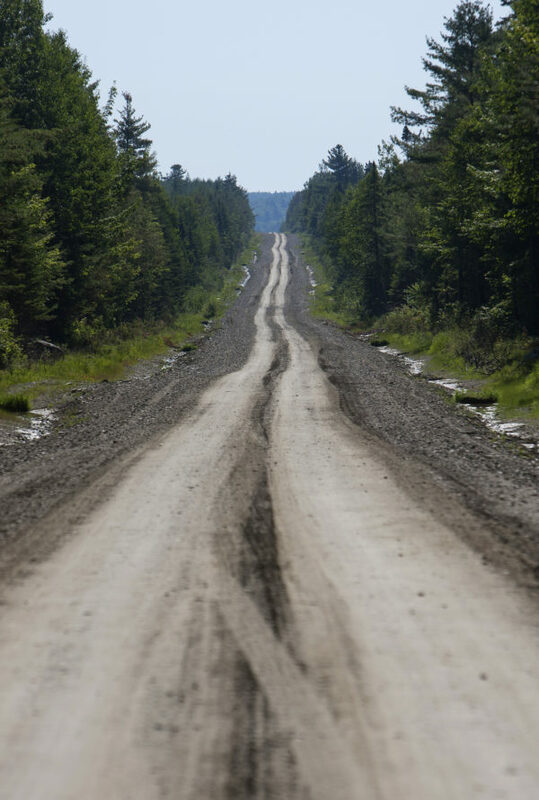 Golden Road is a 96-mile private and mostly unpaved road between Millinocket and the Canadian border that was built by the former Great Northern Paper Co. to access the deep woods for forestry. Logging traffic still flows on the road but it is joined by recreationists and tourists who are required to give forestry traffic the right of way. 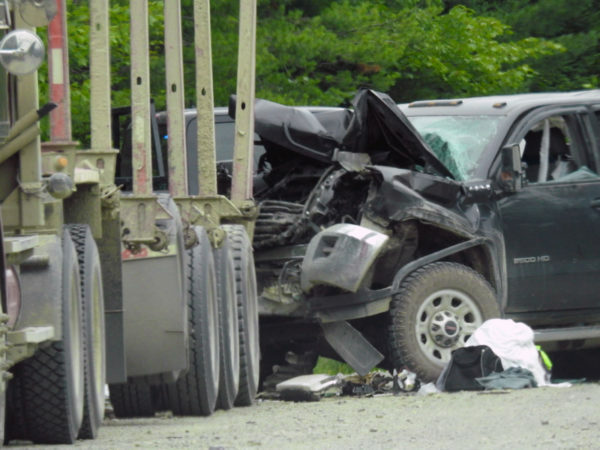 The state does not keep statistics on the number of accidents on the Golden Road because it is privately owned, said Ted Talbot, spokesman for the Maine Department of Transportation. The Maine Warden Service assisted investigators, as did a state police accident reconstructionist and other troopers who examined the truck, the dispatcher said.